The Geordie Chapter photographer is always on hand to take lots of great pictures and videos when we’re out and about. Click on the links below to access our galleries, we’ve got one for photos and one for videos. We put all our photos on our flickr site, so please feel free to download and print off the ones you like. There is no charge for this but we’d be grateful if you made a small donation to our chosen charity, the Great North Air Ambulance. You can find out more here. Thanks! There’s nothing better than seeing some pictures of everyone having a great time with their Harley-Davidson. Apart from being in the picture itself, that is! Geordie Chapter arriving at HMS Calliope on the ABC ride, 2017. What a beautiful backdrop … ! 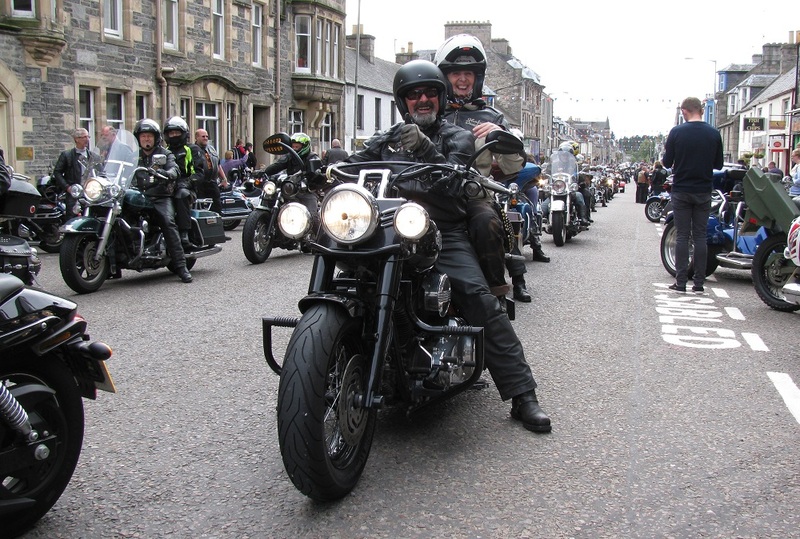 Here’s a couple of Geordie Chapter smiling faces from the amazing Dunedin Chapter’s Thunder in the Glens ride-out, 2016. Not a drop of rain in sight … !